Born: January 1, 1813 in Falmouth Ma. 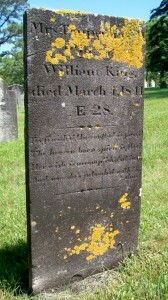 Died: March 4, 1841 at 28 yrs. Married: March 1832 in Falmouth Ma. 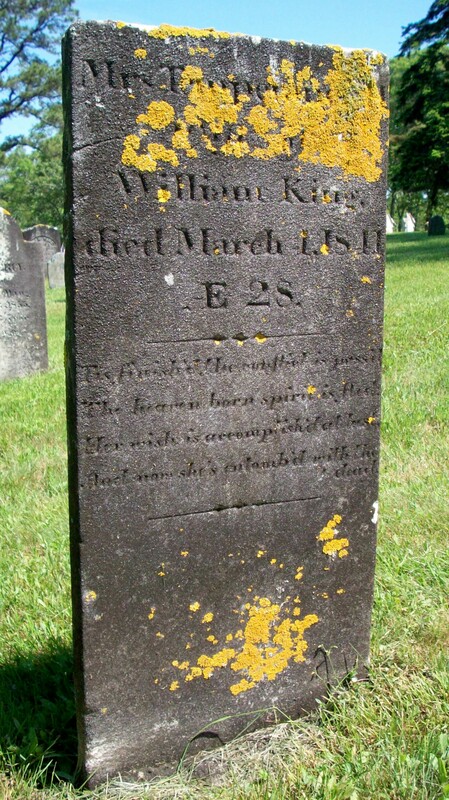 To; William King; (Abt.1805 – 1881) (Robert King & Sally (–)); William married (2) Hannah (Chadwick) Swift (sister of Temperence) (1799 – 1885) (Avery Chadwick & Sabra/Seabury (Chadwick)) in int. November 13, 1843; Hannah married (1) Micah Robinson Swift (1798 – 1827) (John Swift & Mehitable Robinson) in Falmouth Ma. on December 1, 1822. 1. 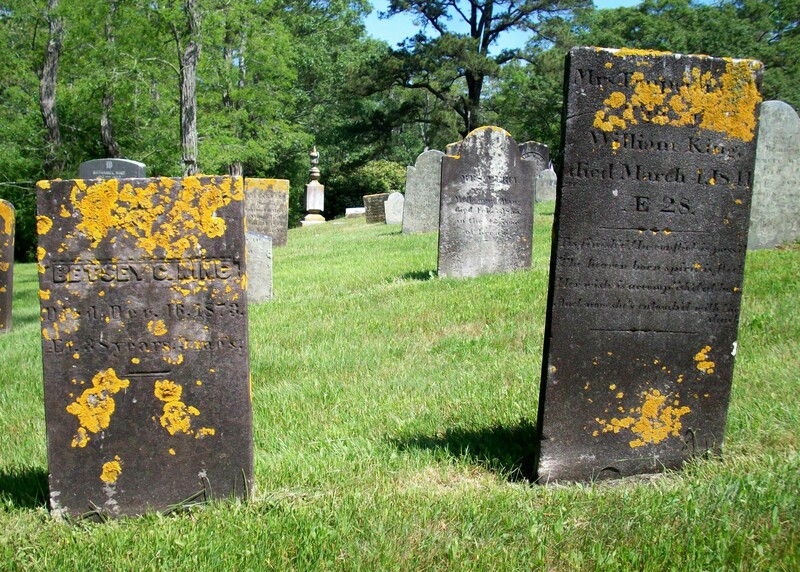 Mercy W. King Swift; (September 25, 1837 – June 17, 1881); Married Lorenzo Richmond Swift (1838 – 1874) (James Swift & Priscilla Benson Cowing) in Sandwich Ma. on December 11, 1862; Mercy & Lorenzo are buried in Cataumet Cemetery. 2. Betsey C. King; (March 2, 1835 – December 16, 1873); Betsey died unmarried at 38 yrs, 9 mos. & is buried next to her mother in Cataumet Cemetery. 3. Temperance C. King Murdock; (March 2, 1841 – October 19, 1874); Married Alonzo Amasa Murdock (1834 – 1918) (Amasa Murdock & Jane C. Loring) in Sandwich Ma. on June 3, 1863; Temperance died in Wakefield Ma..